Latham is a professor emeritus of education at Utah State University, Logan, Utah, and is a behavior analyst. He has been a teacher, consultant and advisor nationally and internationally. The Power of Positive Parenting: A Wonderful Way to Raise Children is more a manual than it is a book; hence, it must be read, then reread, then read some more. Wide margins have been provided for note taking. Use it as a tool with which to build your family. Every parent, teacher, social worker, therapist, and physician should have this succinct and informative book in their back pocket. Framed with both humor and compassion, the book describes ten characteristics that help illuminate—not define—children with autism. A bonus section includes ten more essential, thought-provoking "things" to share with young people on the spectrum as they cross the threshold of adulthood, and an appendix of more than seventy questions suitable for group discussion or self-reflection. This new edition sounds an even more resonant call to action, carrying the reader farther into understanding the needs and the potential of every child with autism. The Verbal Behavior (VB) approach is a form of Applied Behavior Analysis (ABA), that is based on B.F. Skinner's analysis of verbal behavior and works particularly well with children with minimal or no speech abilities. In this book, Mary Lynch Barbera draws on her own experiences as a Board Certified Behavior Analyst and also as a parent of a child with autism to explain VB and how to use it. This step-by-step guide provides an abundance of information about how to help children develop better language and speaking skills, and also explains how to teach non-vocal children to use sign language. An entire chapter focuses on ways to reduce problem behavior, and there is also useful information on teaching toileting and other important self-help skills, that would benefit any child. This book will enable parents and professionals unfamiliar with the principles of ABA and VB to get started immediately using the Verbal Behavior approach to teach children with autism and related disorders. Parenting Across the Autism Spectrum offers a personal perspective and practical guidance for parents at the start of their journey with autism, especially those whose children are newly diagnosed. It also provides useful insights for professionals working with individuals across the autism spectrum and their families. As a boy, Raun Kaufman was diagnosed by multiple experts as severely autistic, with an IQ below 30, and destined to spend his life in an institution. Years later, Raun graduated with a degree in Biomedical Ethics from Brown University and has become a passionate and articulate autism expert and educator with no trace of his former condition. Thanks to The Son-Rise Program, a revolutionary method created by his parents, Raun experienced a full recovery from autism. (His story was recounted in the best-selling book Son-Rise: The Miracle Continues and in the award-winning NBC television movie Son-Rise: A Miracle of Love.) In Autism Breakthrough, Raun presents the ground-breaking principles behind the program that helped him and thousands of other families with special children. Autism, he explains, is frequently misunderstood as a behavioral disorder when, in fact, it is a social relational disorder. Raun explains what it feels like to be autistic and shows how and why The Son-Rise Program works. A step-by-step guide with clear, practical strategies that readers can apply immediately—in some cases, parents see changes in their children in as little as one day—Autism Breakthrough makes it possible for these special children to defy their original often-very-limited prognoses. Parents and educators learn how to enable their children to create meaningful, caring relationships, vastly expand their communications, and to participate successfully in the world. Hundreds of easy-to-read bullet points provide tips that readers can put into action immediately. First they cleverly tackle home life, from breakfast to bedtime, and then they take readers on a trip through the community, offering essential do's and don'ts for going to restaurants, church, the doctor's office, the grocery store, family gatherings, and more. Parents searching for new directions and guidance on autism will find a wealth of practical information in this moving and fascinating journey. The crucial therapies in this success story were "Relationship Development Intervention" (RDI), which enabled this child to make true friends, and "The Amy Yasko Protocol," a dietary supplement program based on the child's genetic make up. 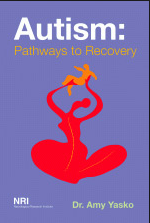 Many treatment programs are examined in this book and many helpful ideas suggested for working with an autistic child. Thinking Person's Guide to Autism (TPGA) is the resource we wish we'd had when autism first became part of our lives: a one-stop source for carefully curated, evidence-based information from autistics, autism parents, and autism professionals. Autism awareness has come a long way in the relatively short time since Autism was given a name back in the 1940's... starting with the belief that it was caused by 'refrigerator moms' that were uncaring or cold towards their children, we now know that Autism is actually based in neurology/genetics. This book looks to go beyond simply being aware of autism as it's effects on people can be so very wide ranging that even those that live with Autism can not fully understand just how differently it can affect others. Stuart Duncan, the father of two children, the oldest an autistic, helps you to understand the nature of Autism, how to recognize it and how to accept those around you that may simply be just a little bit different from yourself. Growing up isn't easy, and the trials and tribulations of being a teenager can be particularly confusing for girls with Autism Spectrum Disorders (ASDs). This book covers all the concerns commonly faced by girls with ASDs and their parents, from periods and puberty to worries over friendships and fitting in . Providing professional perspectives alongside personal experiences from mothers, daughters and educators, this is a unique and comprehensive resource for families and their daughters with ASDs, as well as the teachers and professionals who work with them. More than 90 percent of children diagnosed with ADHD or autism have nutritional or metabolic inefficiencies. Find out if your child is one of those suffering from this condition today, and learn how you can drastically improve your child’s symptoms and wellbeing with The ADHD and Autism Nutritional Supplement Handbook. In this groundbreaking new book, doctor-nutritionist team Pamela Compart, M.D. and Dana Laake, R.D.H., M.S., L.D.N., authors of the bestselling Kid-Friendly ADHD and Autism Cookbook, reveal how to properly and safely implement supplements and dietary changes to affect and counter the symptoms of autism. Through their proven, symptom-by-symptom treatment method, you’ll learn exactly what regimens work best in helping your child's brain and body thrive, resulting in improved behavior, attention, mood, language, cognition, and social interaction. Bobbi Sheahan, mother of a child with autism, and psychologist Kathy DeOrnellas, Ph.D., did not write this book to lecture you on how to parent your child. Instead, they offer themselves as your scouts in the field, who have valuable information to share—from the moment you realize your kid is different ("My, what a quiet baby I have! "), to the self-righteous moms on the playground, to holding your marriage together in the realm of routines. Free time should be part of the day that all kids look forward to. But for many children on the autism spectrum, it can be a painfully unstructured part of the day that causes anxiety and fear. This book provides comprehensive, structured strategies to help adults introduce meaningful activities to ASD children, which they can practice at school or at home. The first half of the book provides forms and charts that will help adults assess the child’s sensory needs, select age-appropriate activities, and then determine level of interest in specific activities. The second half provides numerous “Activity Cards" for going to the park, playing games, listening to music, and many more! The concept of this book is to explain the program in laymen's terms so that anyone can understand the "why" behind the symptoms. Understanding the science allows you to make specific choices for your child and their individualized pathway to recovery. This book encompasses revised and updated content contained in Dr. Yasko's previous book The Puzzle of Autism including information from her power point presentations and the thousands of post that she has authored from her online discussion group over the years. The goal was to create a comprehensive and easily readable work that walks you through the protocol in a more organized fashion.